The EDRS Guidelines is published at the Guidelines document page. It is an official document, which can be downloaded or read online. It serves as support for all parties involved in the series. The document contains important information and it is highly recommended that all teams and organisers look it through before the season. Speedgroup is happy to work with teams and class associations to attrac class partners interested in marketing their brand name, product or services within Summit Racing EDRS Series. Speedgroup offer commission to any individual person or team who contribute to finalise a contract with a business partner for a class. If you are interested to look at a Class Partner package connected to a class of your choice, please email info@speedgroup.eu and we will be happy to get back to you with a proposal. Please, check the class pages for information. If you have any questions and cannot find the information you need, please get in touch with the class contact person listed below. The EDRS Drivers & Riders Club registration is listed at the same place as the race events. Logon to your drivers account and you will find it in the list under notifications/anmälan. 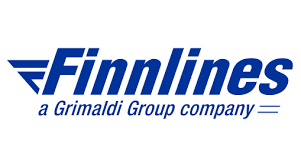 SPEEDGROUP have an agreement with Finnlines for discounted transportation between Finland-Sweden (both directions) and on the route Germany-Sweden (both directions). Bookings and rates inquiries – Contact Finnlines! Teams participating in the series are mandated to display the series stickers for Summit Racing EDRS Series on the race vehicles. Stickers are available on site at all EDRS events. Logotype for download: We encourage teams active in the Summit Racing EDRS Series to promote and display the championship logo on your website or Facebook page. Crew clothing, portable tents, flags, banners and more..
PORTABLE SHADE – Supplier of crew clothing, portable tents and other expo materials. Supplier based in South Africa: Distributer – Lyrén Motorsport.